Shortness-of-breath is a red flag! Ignoring a warning is a dangerous thing to do. Chris no longer needs a heart transplant! What does that have to do with Sacred Breathing? Learn the simple secrets that will save your life! Modern Science tells us that you can accurately predict the length and quality of your life based on the efficiency of your lungs. If you don’t use your lungs well you won’t live long! BUT will your suffering and disease disappear as your breathing improves? According to modern science you can transform your life by transforming your breathing! Your doctor will tell you that lung disease is NOT reversible! If you are suffering from shortness of breath, or low oxygen levels, or asthma, or heart failure etc. … Is your fate sealed? Are you doomed? Chris Downs was told that his heart was weak and would never gain strength. His doctor said his only chance was a heart transplant! His caregivers did NOT believe he could heal! When he learned about Sacred Breathing, he didn’t let the doubt of those around him effect his expectations. Chris expected to heal. He practiced his Personal Sacred Breathing Program with devoted commitment and the result was astounding! Chris has his life back and he is thrilled! Just 6 months ago he was in the hospital so much he didn’t have time to live. Now he is back at work and aware of what it takes to STAY healthy while he gets back to doing what’s important to him! In just a few short weeks time, Chris used what he learned in “Sacred Breathing Hand Book” and The Life Breath Club to take his life back! Clearly, you CAN improve your health by improving your lung function. If breathing is REALLY the key to healing, then why isn’t breathing addressed by practitioners of western medicine? Largely because of a study done a long time ago called the “Framingham Study” which followed a focus group of people with lung disease. That study came to the INCORRECT conclusion that lung disease is NOT reversible! Since many therapists in the “Better Breathing” field of health care have been improving lung function in their clients for many years, we KNOW that you definitely can improve lung function. However, your doctor is NOT likely to have this discussion with you! The shocking truth is … Your health is NOT profitable and your doctor, whether he/she likes it or not, is a tool for the pharmaceutical industry! The only reason you don’t already know the information in “Sacred Breathing Hand Book” is because nobody is going to get rich teaching it to you! There is no big pay off other than your wealth, health and happiness. Unfortunately, the FDA is working hard to protect DRUG profits! The FDA protects profit instead of people so they aren’t attached to educating you until it’s time to drug your symptoms! You want to take action LONG before then, don’t you? The trillions of dollars of PROFIT enjoyed by Big Pharmacy is the reason you are more likely to find fear inducing information than you are to find verification of natural healing therapies. Why should you be fearful of perfectly safe healing therapies? Because if you get better without drugs it WILL harm prescription drug sale profits! It may be difficult for you to believe that finding cures for the suffering of humanity is NOT the focus of BIG DRUG companies. Trying to fathom that profit is more important than saving lives is a stretch! But until you understand the truth of that statement, you don’t stand a chance of finding the solutions you desperately need! If you rely on what your insurance will cover for your “healthcare” you can count on being sick! Now a days, we hear about people dying because they didn’t have health insurance. The Truth of the matter is that people are dying WITH health insurance because health care in the United States and many other countries is about drugging symptoms NOT caring for and restoring health! If you suffer irritating symptoms, what do you do? You go to the doctor, right? And you swallow whatever you are told to swallow, don’t you? Hey! You likely feel lucky to do so if you live in the United States. Not everybody has medical insurance! Maybe your symptoms aren’t even troublesome enough to worry you. Do you ever experience any of the following symptoms? Your loved one tells you that they already told you something that is NEWS to you. Your emotions become quickly over whelming OR you can’t feel them at all. You are surprisingly winded after climbing a flight of stairs. You wake up just as tired as when you went to sleep. You wake at night gasping for breath. Do you have a chronic cough? If those symptoms don’t concern you … they should! Are your symptoms easy to ignore or explain away? Some of these issue may cause no more stir than a bit of conversation over afternoon tea. Maybe you don’t even notice them! However, as things progress, you will deteriorate until you need a whole lot more to soothe your suffering than that cup of tea. Simple solution for these HUGELY concerning symptoms HAS BEEN AVAILABLE for over 50 years! Would you like to know how to prevent the loss of your quality of life and avoid untold suffering? Sacred Breathing will address ANY health crisis. You can heal yourself with your powerful Sacred Breathing! Stop an asthma attack or strengthen your heart muscle! Balance your hormones or strengthen your immune system! Kill bacteria or destroy cancer cells! Sacred Breathing is a first aid kit for your most urgent health crisis! It’s not complicated. In fact, it’s a return to a more normal breathing rhythm. It can be tricky to unlearn bad habits, but it’s much easier with a coach! 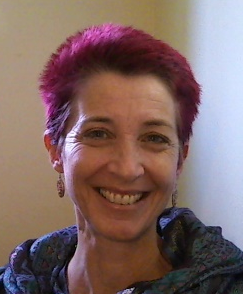 The Life Breath Coach has over two decades of experience at helping people heal their breathing. Your breathing is the key to healing from illness as well as long term health. Sacred Breathing is vital to robust health! So, how to you repair this basic functional breathing rhythm? Not All Breathing Programs and Techniques Do NO Harm! Some “better breathing” instruction will actually CAUSE problems instead of alleviate them! “Just take a deep breath” is BAD advice if that “deep breathing” leads to unhealthy bio-chemistry! The only helpful breathing techniques coax a return to a more normal breathing rhythm. Some breathing techniques actually INCREASE oxygen starvation! It’s important to understand this before you begin manipulating your unconscious breathing rhythm in order to avoid harming yourself. If low oxygen is sucking the passion out of your life, then you’re going to be glad you took the time to read this letter! Your low oxygen levels are the source of your pain and suffering! Life demands that you keep clipping along at a frantic pace. If you don’t bring home the bacon, you can’t fry it up in a pan. Without creature comforts and vacations, life just isn’t worth living. Certainly you have to pay your bills, but when your health is slipping away do you move self care to the top of your priority list? Does taking care of yourself come before EVERY other obligation? If you keep doing what you are doing, you keep getting what you are getting … sicker and sicker and sicker! Living with low oxygen level means that your comfort is slipping away, and if you aren’t careful that vacation may be permanent. How much will it cost you if you are unable to continue working until you retire? Ignoring This Red Flag Warning May Result in HUGE Financial Losses! 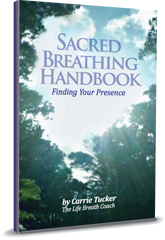 What you will learn in “Sacred Breathing Hand Book” is profoundly simple, BUT powerful enough to heal whatever ails you! Lift Your Depression and Create More Joy! Find Your Passion and Launch Your Purpose! Gets you the action plans to get your life back and super charge your energy! Don’t waste another precious moment, take action right now! “Yes!” I want MY copy of “Sacred Breathing Hand Book” NOW! AND Membership to an Online Community Keeping You Connected To the Tools and the Friends You Need! The Life Breath Club Masters Level Membership! If you have a coupon code, enter it on the check out page. Click the buy button and get our copy today!